Crunch O’s – 12 grams of protein. 130 Calories. They are very light, very barbecque- y. They could definitely fill a chips craving. The back of the package also notes there is a Sour Cream & Onion Flavor. 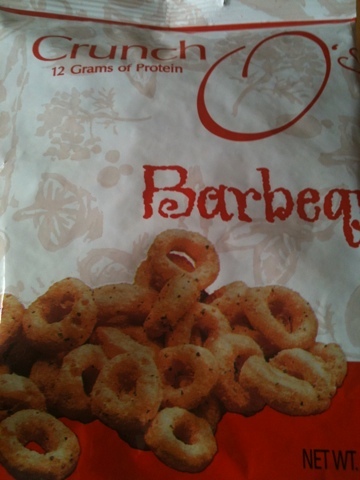 Sort of an odd aftertaste after eating about a quarter of the bag, and then tend to stick to my teeth. Still good though – exceptionally crunchy, and leaves the taste buds with a small “burn”. It took me about 30 minutes to finish it. A similar bag of chips would have taken me 5 minutes. 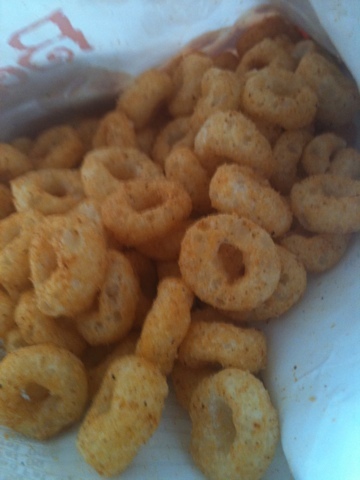 Btw, they look giant, but are about the size of Cheerios on steroids.